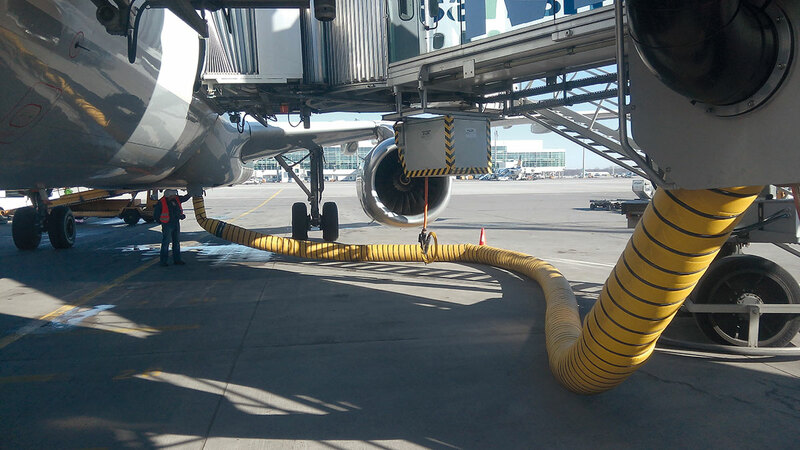 The hose developed by Quickloading is contrary to the otherwise usual hoses PVC-free and thus does not emit any emollients to the air which is transferred into the aircraft. 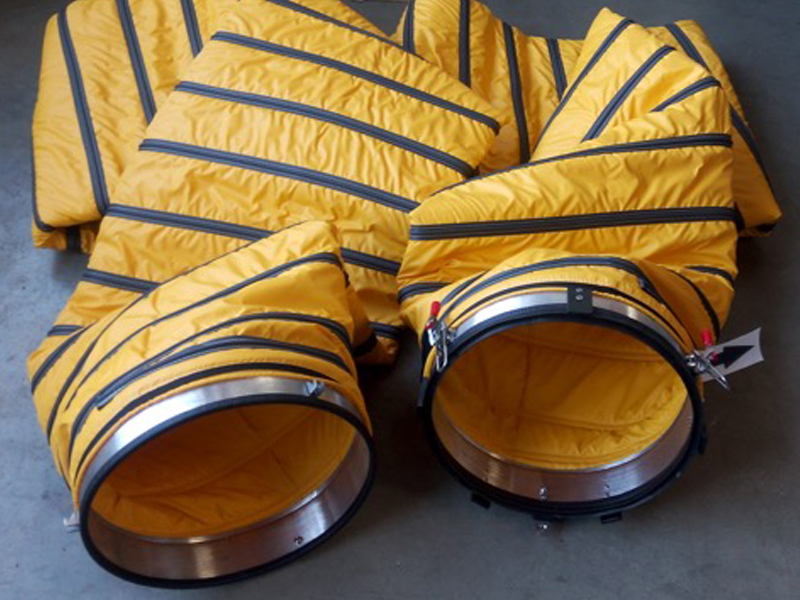 The light hose stays flexible even at -30 °C and makes handling easier. 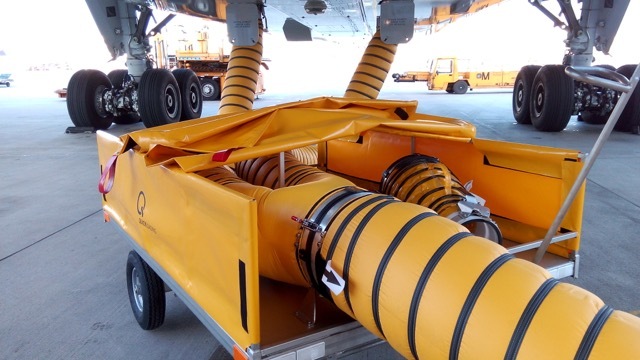 simplifies the connection of large capacity aircrafts to the PCA system. Air distribution optimised for two PCA-connections for the air flow. Resistance of the total system reduced to a minimum which saves energy and costs. Weather protection by plastic sheeting divided into three sectors. Frame made of stainless steel and resistant against aggressive lubricants. 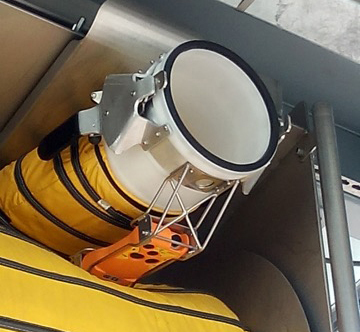 The light coupling was designed for quick extension of 14“ PCA hoses. 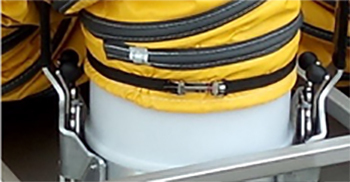 The hoses are connected safely by a insertion-coupling system. 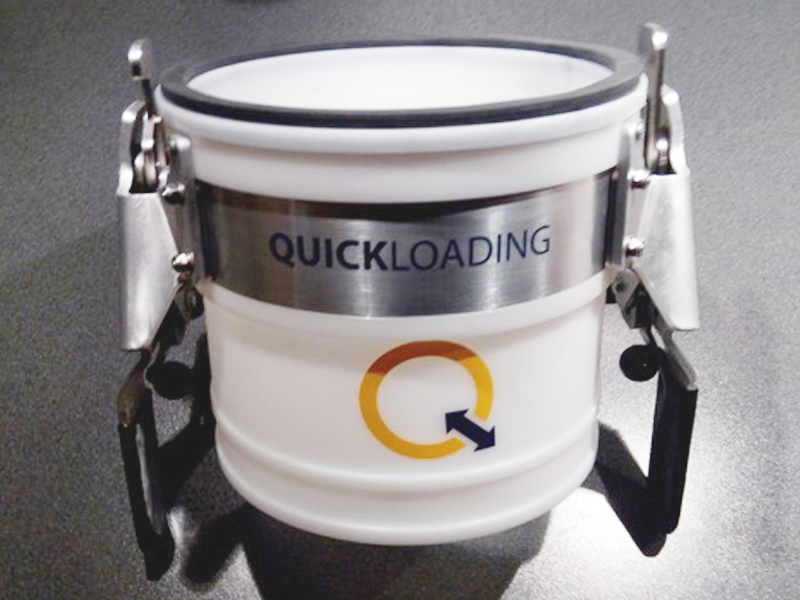 The easy adapter designed for an easy coupling and arresting. 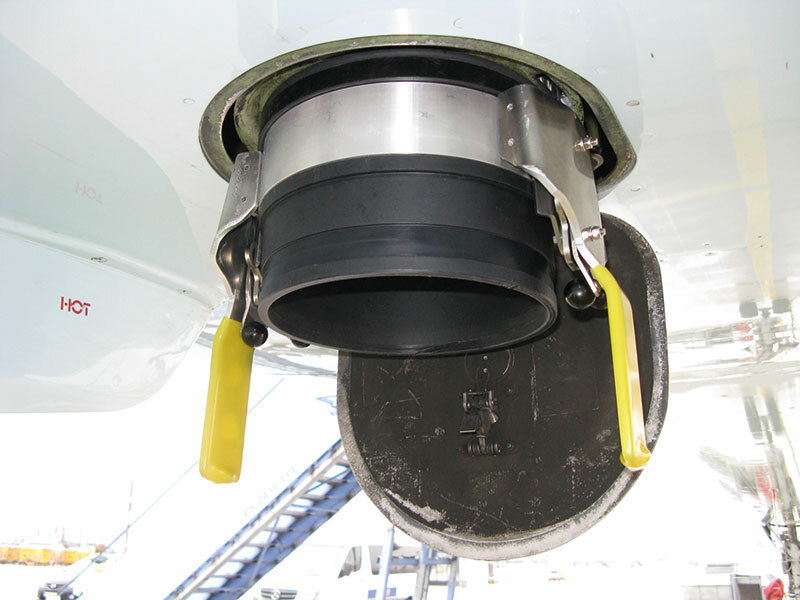 Contrary to the usually used flexible handles, coupling of the aircraft is thanks to fixed handles remarkably easier. Arresting is done left and right by operation with the thumb. 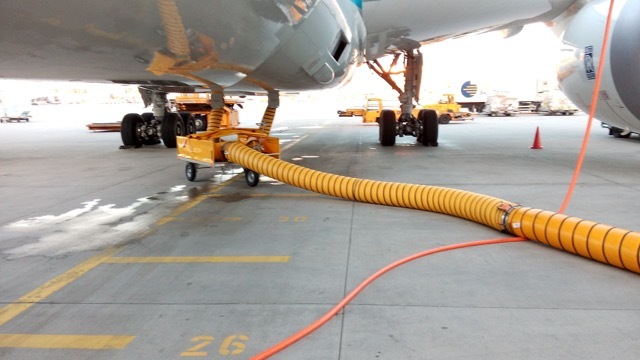 The adapter makes it possible to freely turn the hose even when the PCA device is operating. A light and ergonomic holder for the remote control was developed. The mounting was optimised both for the Pit-Adapter and the hose coupling. 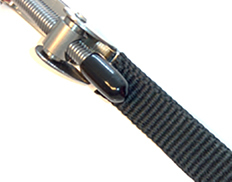 Special high-quality hose clip made of stainless steel with all around edge protection for fabric, plastic and rubber. 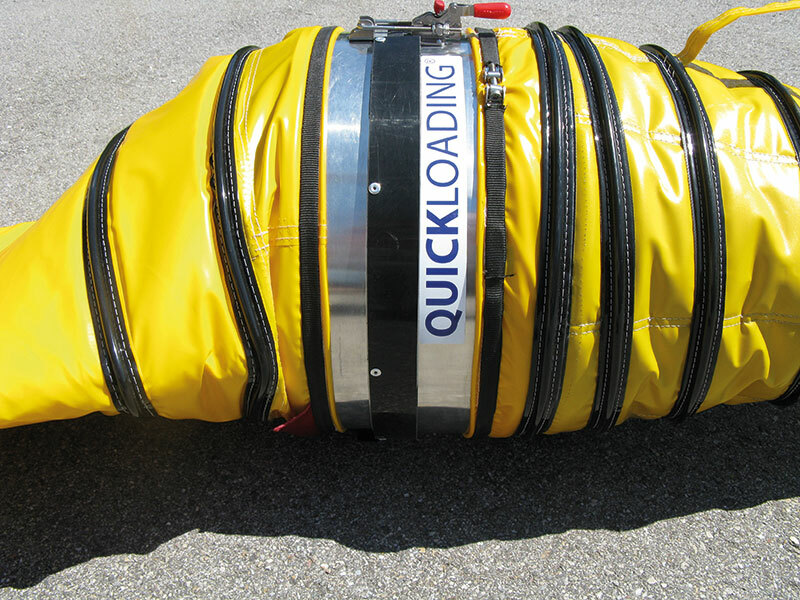 Contrary to the conventional clips, the Quickloading hose clip enters a tight form fit with the hose and protects the hose effectively from damage.